With the latest update of the TrakIT, we have added 'Data Values' search field on the filter panel. This replaces the Vessel and Voyage filters. The Data Values filter searches any of the Data fields values in work order. Use comma to enter separate text of which any can match.You can enter maximum 5 words in the search box. For example, the below filter will find all work orders that have "ABC" or "123" exactly in any Data field. This search option is available on both the Operations page and Finance page filter panel. Once you enter any values in the search box, it will remember the values until you remove them from the box or clear all filters. For any questions or concerns, please contact TrakIT Support. With the latest update of the TrakIT Android app, we have added location tracking to the app. This means that you can enable location tracking for any TrakIT user who is using the TrakIT Mobile app. 1) Specify the Tracking Start and End events in the corridor setup. 3) Have each driver download the TrakIT Mobile app on his Android phone and login once only. 4) Link the relevant work orders to the drivers. The first 3 steps are to be completed once only. 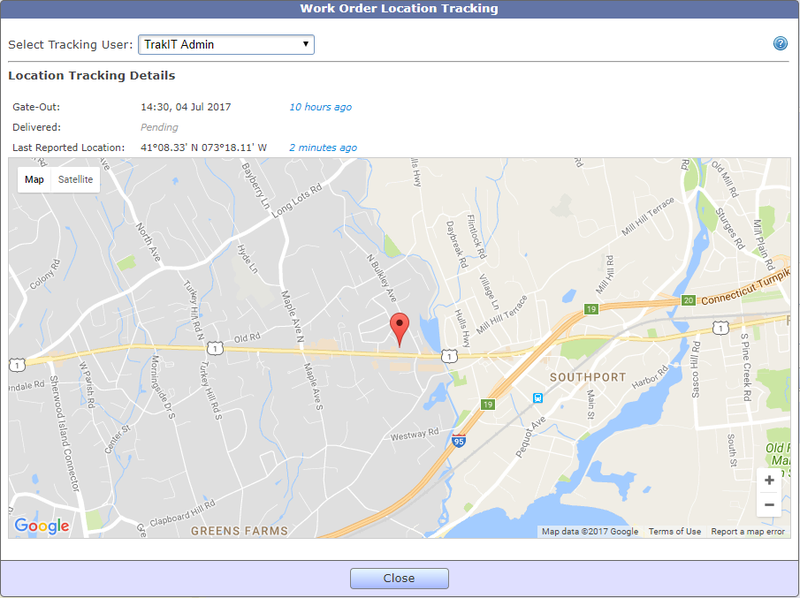 However, each work order needs to be linked to the correct driver so that the location for the work order can be tracked. Please note that only the latest location based on the location time between the events is reported. For any questions or guidance on how to setup Location Tracking, please contact TrakIT Support. Kindly note that as this is a new feature, we are still testing this on a variety of Android phones and checking compatibility as well. It may be possible that it may not work on some Android phone models.